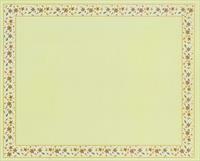 D-302, Multicolor card Color, Multicolor Offset Cards, Hindu Cards. It's a traditional design that captivates you with its beauty. 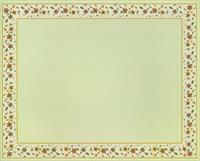 The front of the card has floral image base in the shekhawati painting style. 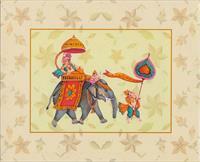 In the center is a multicolored miniature painting image showing Ganesh ji taking a royal ride over the elephant. 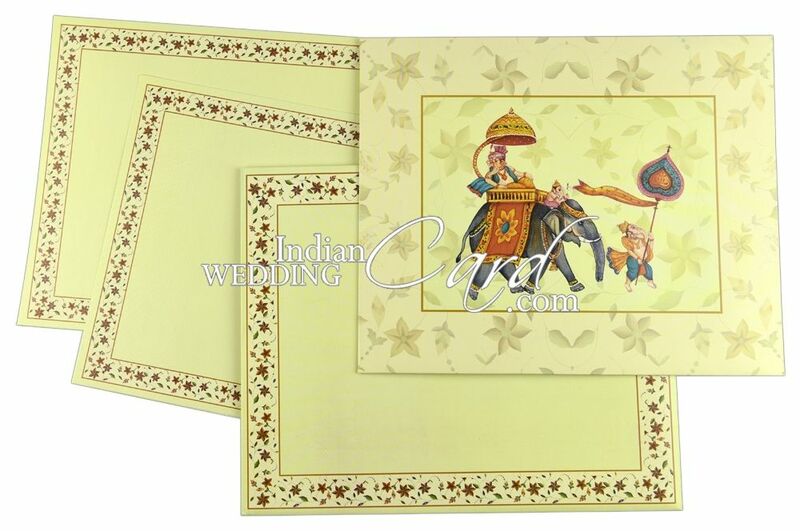 The inserts have multicolored border designs in the same shekhawati painting style. 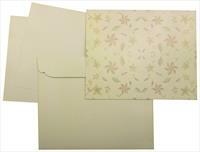 The envelope has similar border design as the inserts. 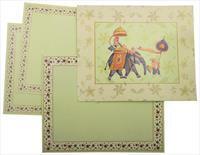 Silk Screen Printing in any dark color matching to front of card.